February 8, 1931: Judy and her sisters, “The Gumm Sisters,” are not mentioned in this ad or article because they were already a part of Kussell’s kiddie troupe, but the show, “Stars of Tomorrow,” featured the trio when it premiered on July 10, 1931. February 8, 1934: “The Gumm Sisters” (Judy and her sisters), opened a five-night engagement at the Orpheum Theater on 844 S. Broadway, Los Angeles, California. They were one of seven acts on the vaudeville bill that played between showings of the films currently on the bill (Women In His Life and Frontier Marshall). The theater was a minor one that showed low budget films from the minor studios. Around this time, Judy’s parents, Frank and Ethel Gumm, bought a home a block away from their current residence (2605 Ivanhoe), at 2671 Lakeview Terrace East in Silver Lake, California. 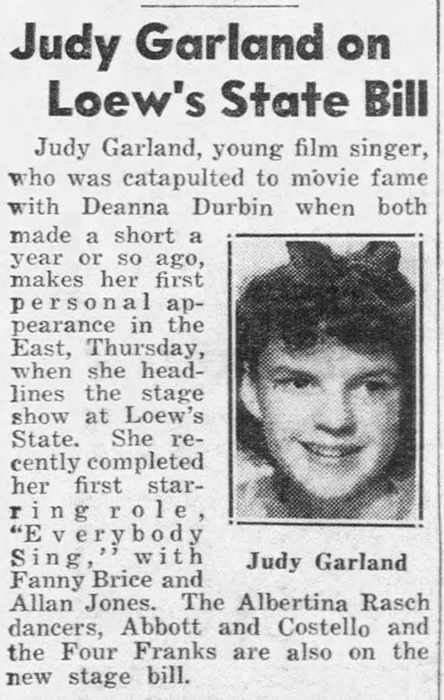 February 8, 1938: Judy was in New York City having arrived the day before on February 7th, in preparation for her NY stage debut on February 10th. 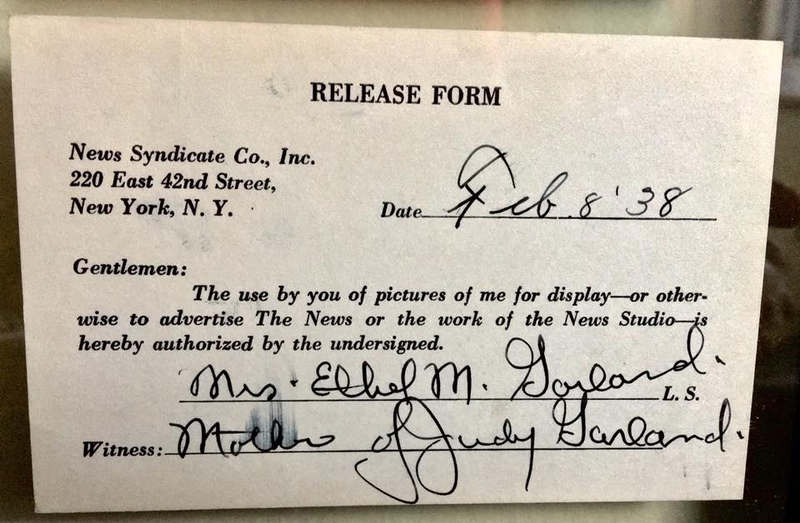 This simple release form was signed by Judy’s mom, Ethel, on this day. Image of the form provided by Bobby Waters. Thanks, Bobby! 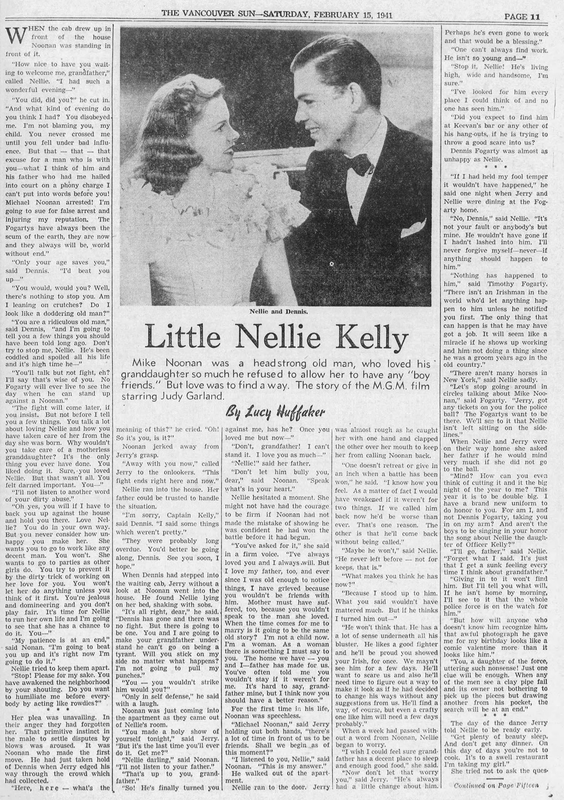 February 8, 1941: The “Vancouver Sun” ran this two-part serialization of the plot of Little Nellie Kelly. The second part was printed on February 15th, but it’s included here so you can read the whole thing although if you’ve seen the film you know the plot. 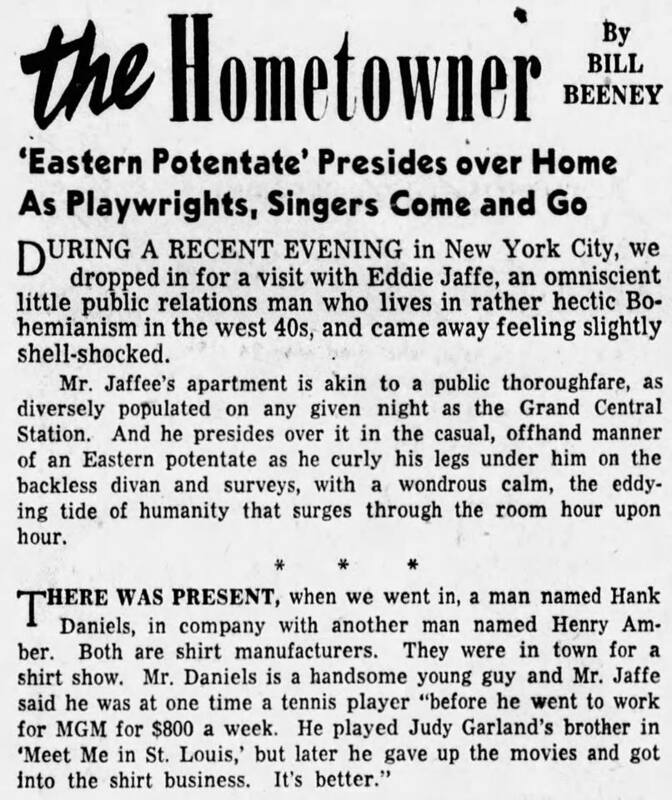 February 8, 1942: Two articles. 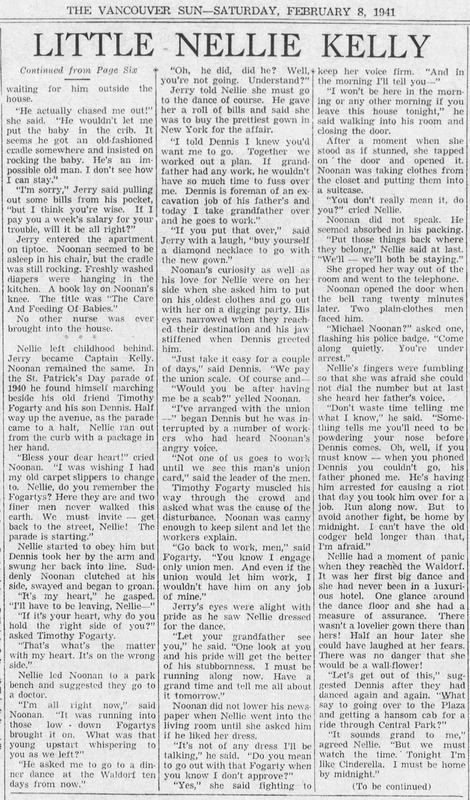 The first is a human interest article by John Truesdell that presents a bit of Judy’s history (fictional as some of it may have been) and what she was up to in 1942. 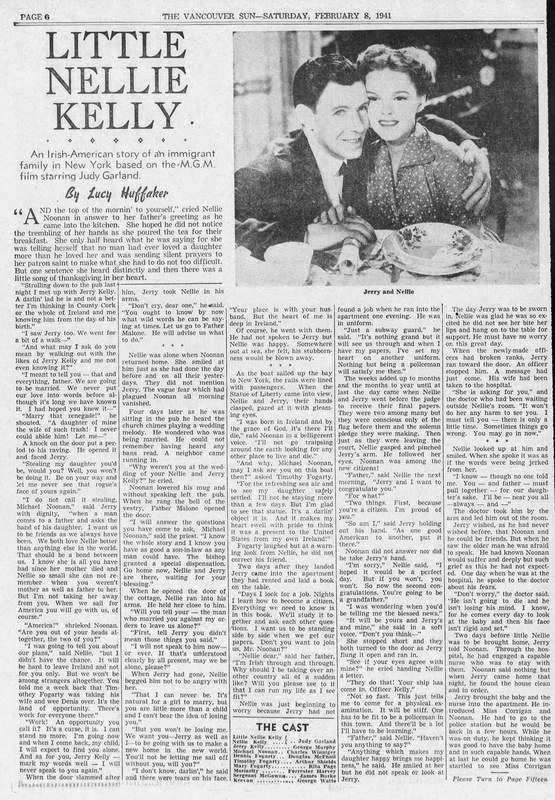 It also states that Judy was on a continual diet, “Once she got too heavy and the studio waitresses were ordered to serve her clear soup regardless of what she ordered for lunch. After that, she decided she’d take care of her own weight problem.” The usual story was that Judy was given chicken soup or chicken broth and unfortunately Judy wasn’t able to take care of her own weight problem, at least not yet. 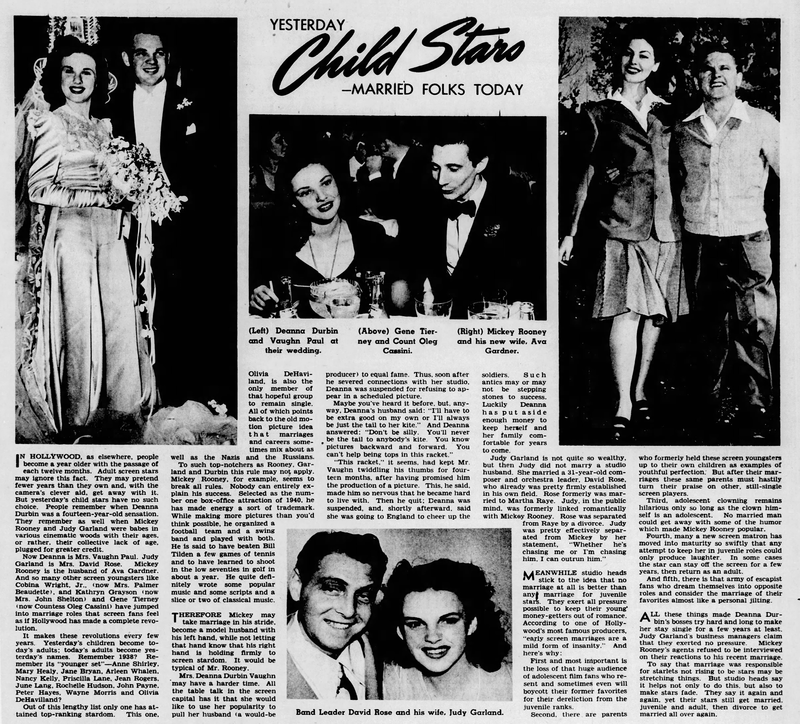 The second article is about child stars, now married. February 8, 1942: Here’s an amusing little burb, typical of the kind printed during the war. 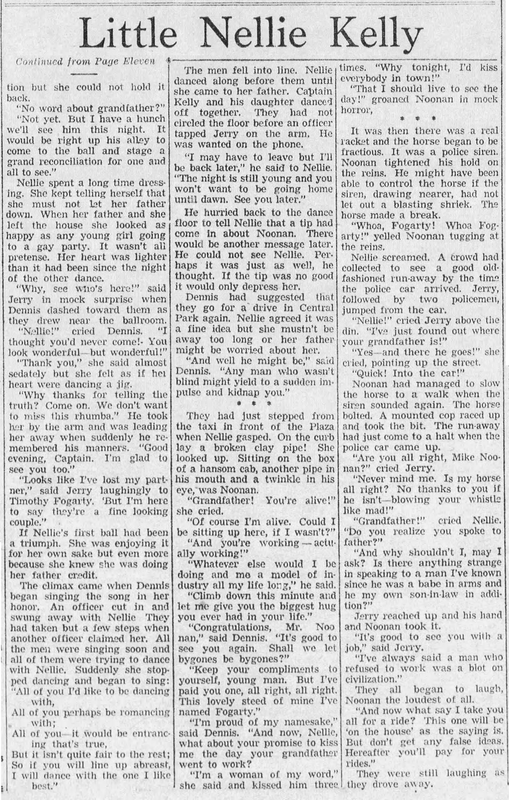 February 8, 1943: Judy was back on the Girl Crazy set after being out on doctor’s orders since January 29th. It was at that time that Judy’s family physician, Dr. Marcus Rabwin, ordered her not to dance for three weeks and confined her to bed. The reason was that the film’s original director, Busby Berkeley, drove Judy to physical collapse while filming the “I Got Rhythm” production number. He was replaced and Judy didn’t get the full three weeks in bed but she did get some much-needed rest. On this day, scenes were shot on the ‘Interior Western Dance Hall” set. 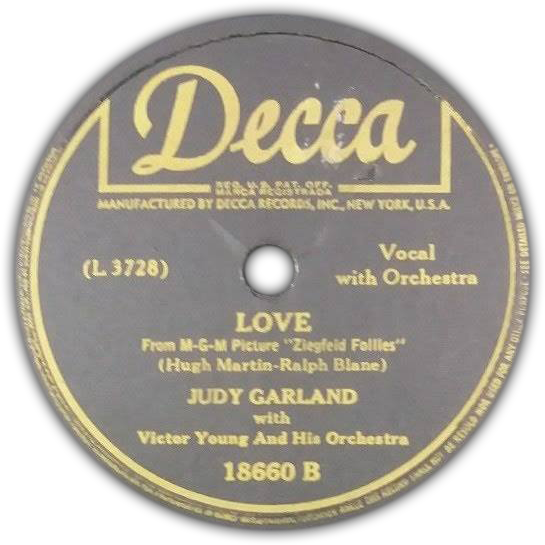 Time called, 10 a.m.; dismissed: 4:00 p.m.
February 8, 1946: Hugh Martin wrote this letter to Judy commending her on her Decca recording of “Love” which he co-wrote. Martin also co-wrote the wonderful songs in Meet Me In St. Louis. Record labels from the Rick Smith Collection. Thanks, Rick! February 8, 1949: Here’s an ad for the MGM Records soundtrack to 1948’s Words and Music. 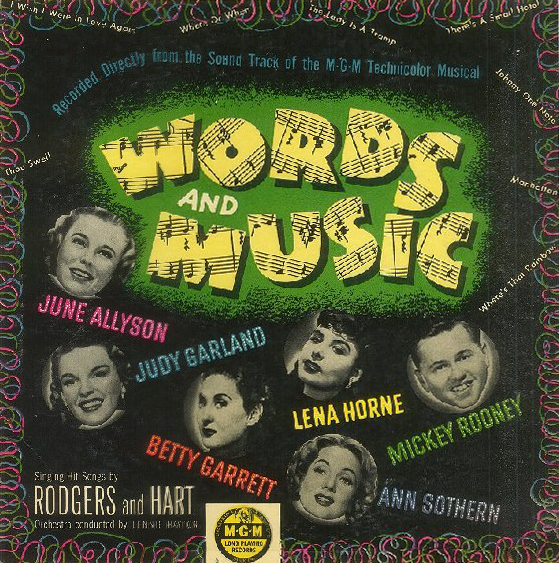 Check out The Judy Garland Online Discography’s Pages on Words and Music here. February 8, 1954: Ever wonder what happened to Henry Daniels, Jr., “Lon” from Meet Me In St. Louis? It turns out he left the movies to become a shirt salesman. This column notes that he was previously a tennis player, something I didn’t know. February 8, 1954: Filming on the “Someone At Last” number continued on the “Interior Malibu House” set for A Star Is Born. 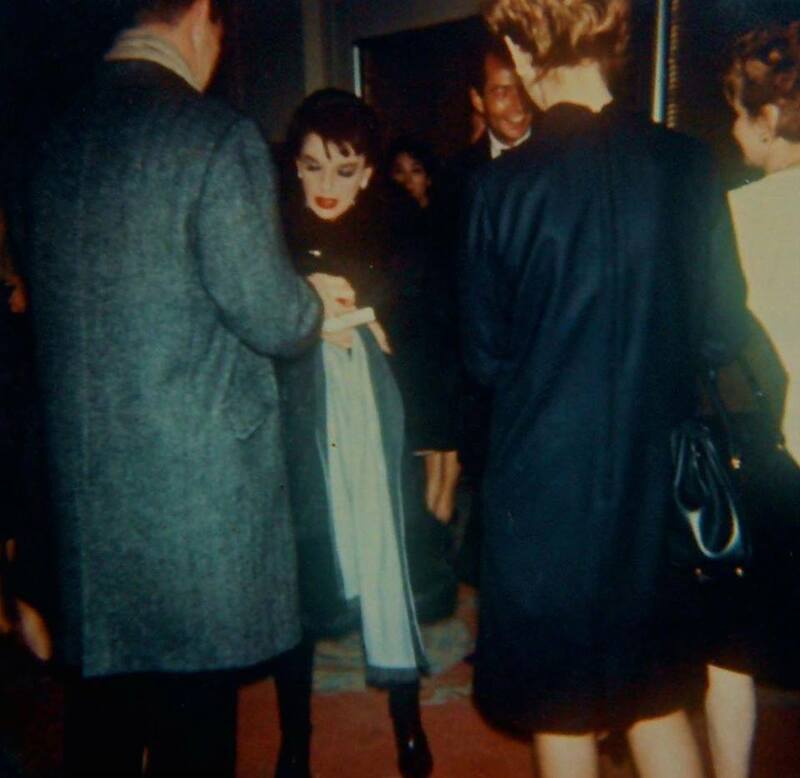 Time called: 10 a.m.; finished: 5:45 p.m.
February 8, 1964: Judy was on a one-week break from the taping of her CBS show, “The Judy Garland Show,” when she Judy slipped in her suite at the Sherry-Netherland Hotel. She suffered a mild concussion and spent the night at Mt. Sinai Hospital, where she was accompanied by her physician, Dr. Kermit Osterman, but was released the following day. After her release, Judy then took Lorna and Joe to the CBS headquarters in New York to watch the first “concert show” of the series (Show #20, which was taped on January 24th and aired on this night, February 9th) , which followed The Beatles’s appearance on the “The Ed Sullivan Show.” Not a bad lead-in to her series that night! 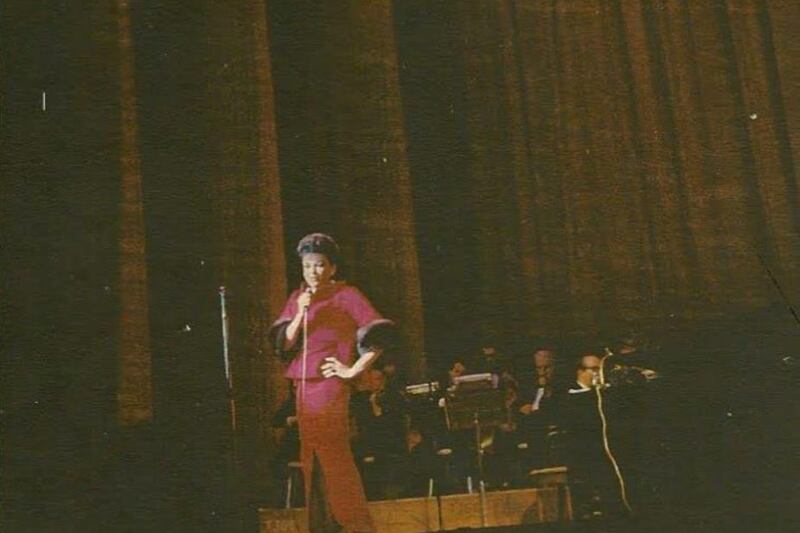 February 8, 1965: Judy’s first concert with The Allen Brothers, at The O’Keefe Center, Toronto, Canada. 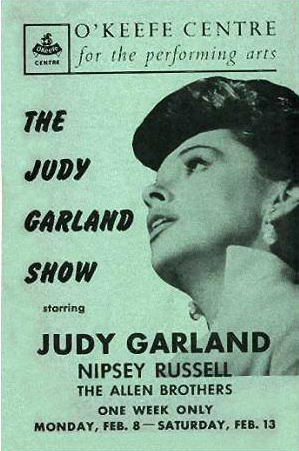 Judy was actually filling in for Nat “King” Cole, who had to cancel due to illness. Judy performed through February 13th. 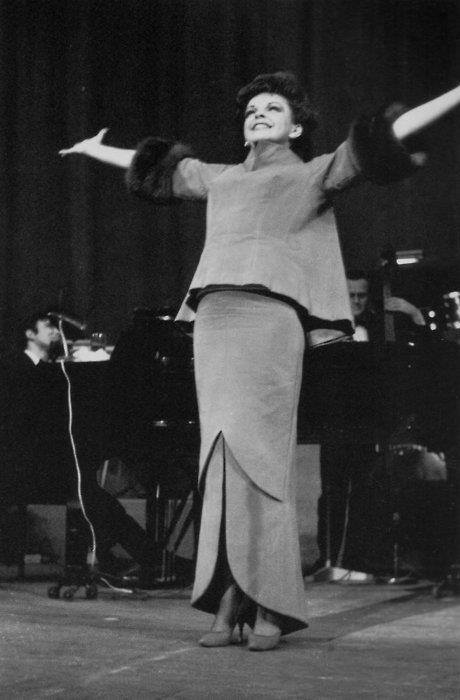 Download audio of this night, and Judy’s performances from the 11th & 13th (zip files) from the following links. NOTE: The recordings are from audio tapes taken by fans in the audience. The sound quality isn’t the greatest, but they’re all we have! The Allen Brothers opened the show at 8:40 p.m., with thirty minutes of songs. Comedian Nipsy Russell was next for twenty minutes. After a twenty-minute intermission, Judy’s overture was played at 10:02 p.m. with Mort Lindsey conducting. 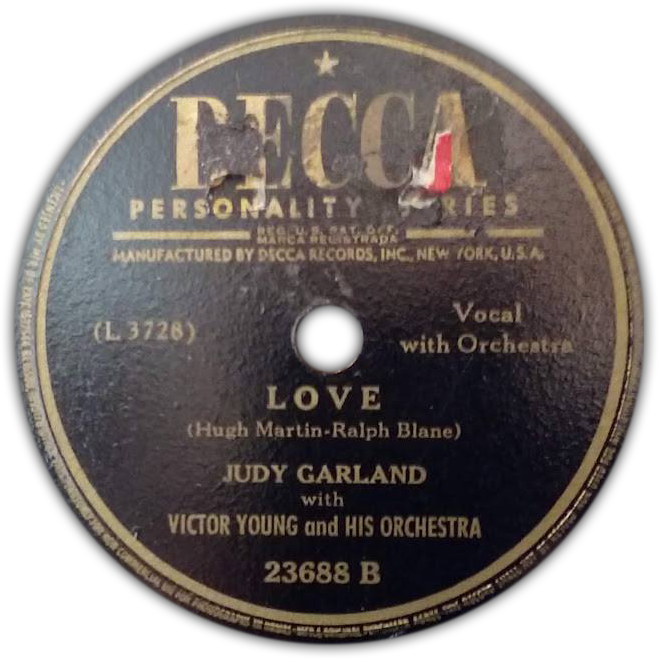 Judy’s songs were: “When You’re Smiling”; “Almost Like Being IN Love/This Can’t Be Love”; “The Music That Makes Me Dance”; “Smile”; “Swing Low, Sweet Chariot/He’s Got The Whole World IN His Hands”; “I Wish You Love” (with The Allen Brothers, who then sang “Don’t Let The Rain Come Down” and “Toreador” while Judy changes; she came on during “Toreador” and danced with Peter); “Joey, Joey, Joey”; “You Made Me Love You/For Me And My Gal/The Trolley Song”; “By Myself”; “Rocke-A-Bye Your Baby”; “Swanee”; “Chicago” and “Over The Rainbow.” Judy was having some vocal problems during the first few nights due to the flu. Wow! That letter from Hugh Martin is a treasure. 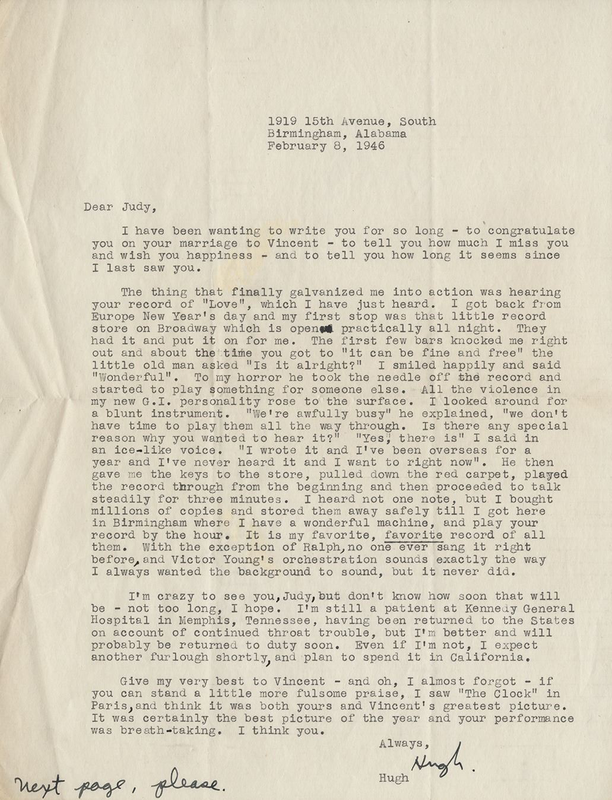 It’s so interesting to read the varying shades of his mind – praise for Judy, hope for her and Minnelli (I’m sure he knew that this was a union that could not possibly last), as well as his own ego. I first saw him as an older man, interviewed extensively for the 1994 making of “St. 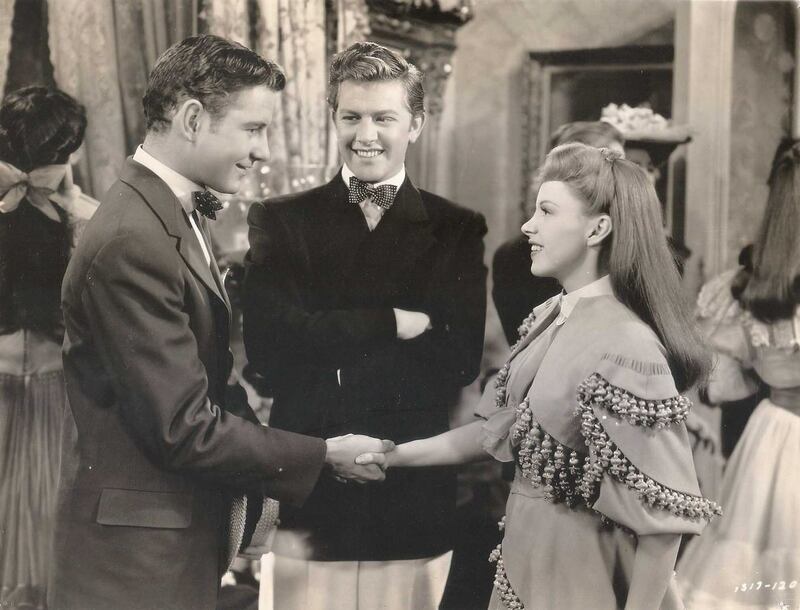 Louis.” But when I saw his “soundie” of “Skip to my Lou”, filmed in ’41 with Ralph Blane, I thought he was so CUTE. Such a hottie. And such a talented guy, who seemed to really want the very best for Judy.